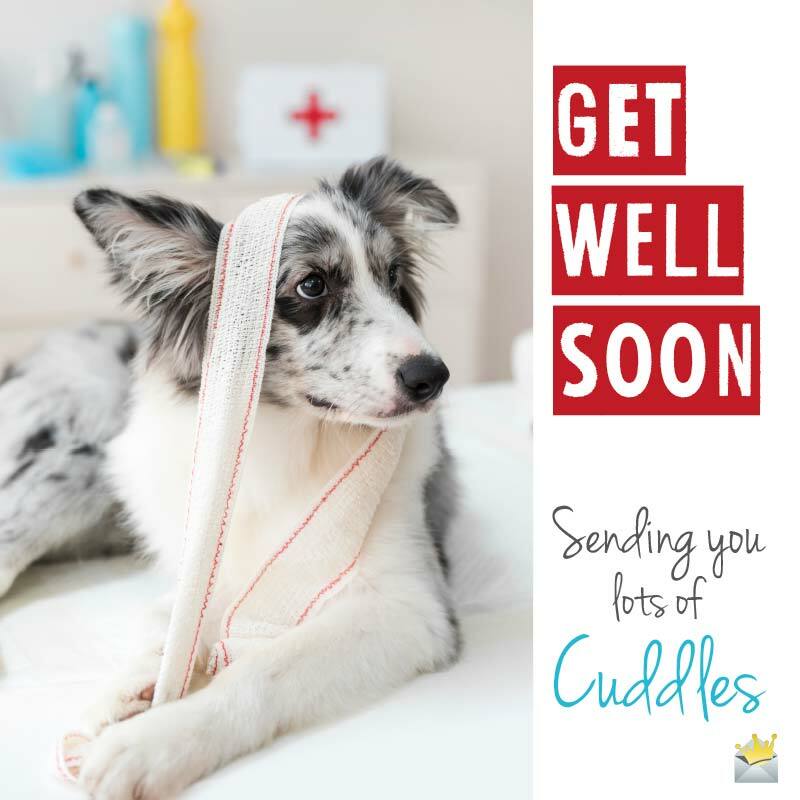 If someone you know has just undergone surgery, the least you can do for them is send them soothing, comforting and sweet get well wishes to help them bounce back to good health and their normal self soon. Thankfully, we have a lot of get well soon messages right here that you can use to wish that person who has just come out of the operating room a quick recovery while showing them that you care about their health and well being. My dear, may the warm wishes from your family and friends bring you much happiness, sunshine, good health and strength as you recuperate from your knee surgery. Get well soon. Wishing on every single star in the universe that you recover swiftly from this surgery. I miss your smile so much. As we send you prayer and recovery messages, we hope that your quality of life will improve dramatically and put beautiful smiles on your face. It’s my prayer that God, in His immeasurable mercy, will hasten your recovery and bring you good health as soon as possible. I am beyond happy to hear that your surgical procedure was successful! Thank God! Now all I wish for is that you get stronger soon and join us at work. Can’t wait to see you back to your normal self again. Now that the surgery is over, I hope you can concentrate fully on healing, resting and regaining your strength back. Hope you are recovering fine after your visit to the operating theater. I’m so elated to know that everything went successfully in there. I wish you a very swift recovery. May every single alphabet of this message shower abundant blessings of good health upon you and quicken your journey to total recovery. Wishing you happiness and the best health ever as you recover from your operation. Get well soon. Get well soon. Sending you lots of cuddles. May God guide you to good health after your recent surgical procedure. Love you. Hope the wishes from your family and friends bring you endless years of good health, joy and all the beautiful things in life you have always prayed for. May nothing stop you from enjoying a full and quick recovery. May you recover really soon from your surgery so that you can enjoy to the fullest all the beautiful gifts life has in store for you. My heart is filled to the brim with happiness to hear that you have just undergone the operation successfully. I pray that your recovery period will be a very brief one. I’m here for you. If you need anything, just let me know. I am glad your recent surgery was successful. Quick recovery, great health and happiness are all I wish for you. Stay blessed and take very good care of yourself. I hope my message blows a cool breeze of strength, joy and speedy recovery to you as you make your recovery from the successful surgery you just underwent. May the trillion wishes and prayers I have in my heart for you speed up your recuperation and bring you all the joy and good health you deserve in life. As you recover from your surgery, it is my prayer that you will regain both your strength and full health faster than you have anticipated so that you can enjoy the excitement of being healthy. You are strong and that is why I know your recuperation after the operation will be quick. May each day bring you blessings and draw you closer and closer to a full recovery. Take care. Your absence at home is greatly felt. I hope and pray that you will get well soon and continue doing the awesome things you do for your family, friends and humanity in general. 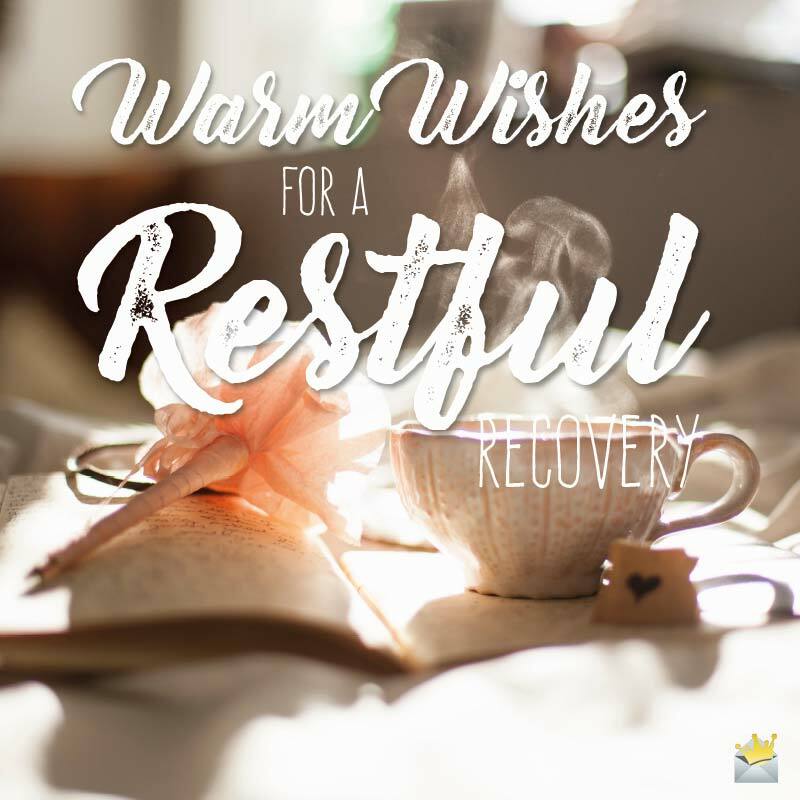 Warm Wishes for a Restful Recovery. Undergoing surgery isn’t an easy thing at all. But you have successfully gone through it. You inspire me so much. Please, get well soon. I’m so happy God answered our prayers and granted you a successful surgery. I know He will listen to our prayers again and bless you with a very short recovery so you can return quickly to your normal activities. Super excited to hear how successful the appendectomy went. May your journey to recovery be filled with sunshine and lovely smiles. Love you. Wishing you well as you recover from the medical procedure you just successfully went through. May you have a quick and pain-free recovery from the surgery. I miss you so much. As you have undergone surgery successfully, it is my hope that my positive and great healing thoughts will put bundles of smiles on your face and make your recovery process a swift one. Get well soon. I hope you will recover quickly as I am waiting eagerly to see you healthier and happier than ever. Wishing you speedy recovery, my dear. We are glad the surgery was smooth, successful and devoid of any post surgery complications. 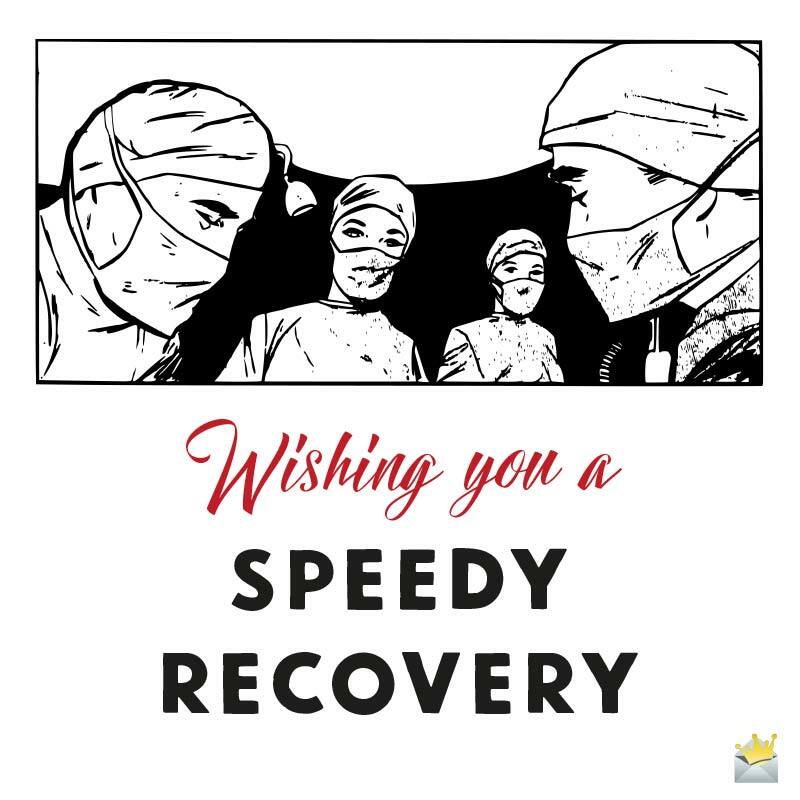 Wishing you a recovery that is faster than the speed of light. My prayer for you is to see you stronger and healthier with every brand new day that comes by. I know my prayers will be answered because I have total faith in the extraordinary might of prayers. Now that you are resting after a successful surgery, I hope your health and energy will be renewed ASAP as you prepare for the good things life has arranged for you. Because you came out of the operating theater a conqueror, we are 100% certain that you will recover in no time. May God be with you throughout your recovery period. We love you. Hoping and praying you get to feeling better soon after being under the knife. As you gradually recover from your surgery, may our inspirational messages and well wishes put bundles of smiles on your face. I am happy you are doing well after the surgery. Hope you feel better, stronger and healthier with every passing second. May your strength be renewed by God and may He continue to strengthen you always. Get well soon. Even though we are away from you, always know that we are supporting you with prayers at our various destinations. We love you so much and wish you an extraordinarily swift recovery. Sweetheart, sending you warm hugs, sweet kisses and all the love in my heart as you relax and recuperate from your surgery. I can’t wait to see you get back to your phenomenal self soon! I love you. Words can’t express how much I have missed your presence at work since you underwent surgery. It’s my greatest prayer and hope you receive total healing and strength in no time.